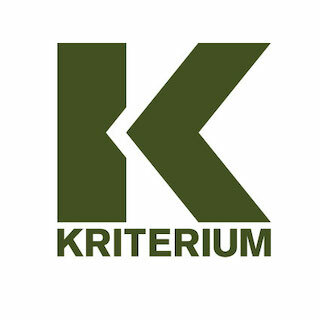 You may use the Services only if you can form a binding contract with Kriterium and its platform service provider, Ubiquity Press (from now on referred to together as “The Press”), and are not a person barred from receiving services under the laws of the United Kingdom or other applicable jurisdiction. If you are accepting these Terms and using the Services on behalf of a company, organization, government, or other legal entity, you represent and warrant that you are authorized to do so. You may use the Services only in compliance with these Terms and all applicable local, state, national, and international laws, rules and regulations. We may revise these Terms from time to time, the most current version will always be at http://www.kriterium.se/site/t-and-c. If the revision, in our sole discretion, is material we will notify you via e-mail to the email associated with your account. By continuing to access or use the Services after those revisions become effective, you agree to be bound by the revised Terms. These Services are operated and provided by Kriterium in conjunction with Ubiquity Press Ltd., 6 Windmill Street, London W1T 2JB, United Kingdom. If you have any questions about these Terms, please contact us.